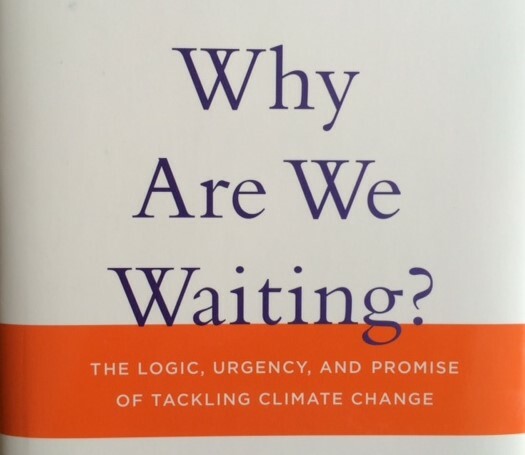 Earlier this year I was invited to review Nicholas Stern’s new book, Why Are We Waiting? The Logic, Urgency, and Promise of Tackling Climate Change (MIT Press, 2015), for the Journal of Economic Psychology. The published version of my book review is here (you can email me for a pdf), and a manuscript version is here. In Why Are We Waiting? (a follow-up to his well known Review of 2006), Nicholas Stern assembles scientific, moral and economic arguments that rapid and radical reductions of greenhouse gas emissions are needed to limit global warming to 2 °C above pre-industrial temperatures, and wonders why progress is so slow. 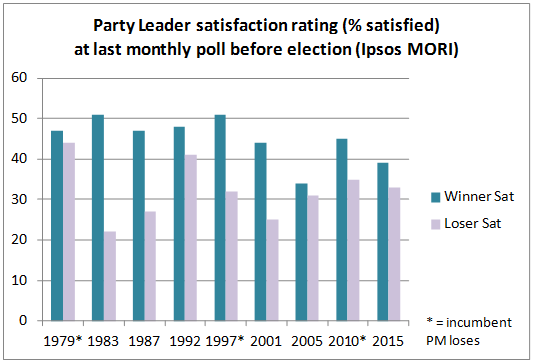 Satisfaction with party leaders of the two main parties would have predicted the outcome of the last nine UK general elections, including the most recent. This measure is worth looking at in more detail as voting intention polls led many forecasters astray in 2015, as Roger Pielke Jr describes. My prediction is that the UK Department of Energy and Climate Change (DECC) will not survive to the end of the forthcoming 5-year parliament. The people most upset by yesterday’s election result – at least according to my Twitter feed – were the professional pollsters and forecasters – not least many prominent academic political scientists – who universally predicted that the election result would be far closer than it eventually turned out. You think politics and political behaviour is predictable, and it just goes and defies all your expectations. I've seen enough, night all! Election forecasters shouldn't complain about polls — a good forecaster accounts for uncertainties and ignorance & doesn't pass the buck. We do not find Lewandowsky, Gignac and Oberauer’s Reply to our Commentary persuasive. Their Reply is paywalled, but a Summary is here. This is a joint post by Ruth Dixon and Jonathan Jones about our Commentary entitled ‘Conspiracist Ideation as a Predictor of Climate Science Rejection: An Alternative Analysis.’. [The link is now to the version of record, published in May 2015]. After nearly a year, two journals, and four rounds of review, our Commentary on two studies by Stephan Lewandowsky was published in Psychological Science on 26 March 2015. This post describes our findings in more detail than the tight word-limit in Psychological Science allowed. In two papers published in 2013, Stephan Lewandowsky and his colleagues Gilles Gignac and Klaus Oberauer suggested that ‘conspiracist ideation’ (the tendency to believe in conspiracy theories) predicted scepticism about anthropogenic climate change. In our reanalyses of the data from both studies, we found that there was a curved relationship between these variables. Both climate-change sceptics and the ‘climate-convinced’ tended to disbelieve in conspiracy theories. The linear models used by Lewandowsky and colleagues were therefore not appropriate descriptions of the data. Both datasets show this effect, although they resulted from very different survey types (the first surveyed readers of ‘climate blogs’ (LOG13-blogs, published in Psychological Science) and the second surveyed a panel representative of the US population (LGO13-panel, published in PLoS)), so we are confident that our findings are robust. As we describe in more detail later in this post, our main finding was that there is a curved relationship between belief in anthropogenic climate change (CLIM) and belief in conspiracy theories (CY). This curvilinear relationship is most clearly seen in the LGO13-panel dataset (Figure 1). Figure 1. 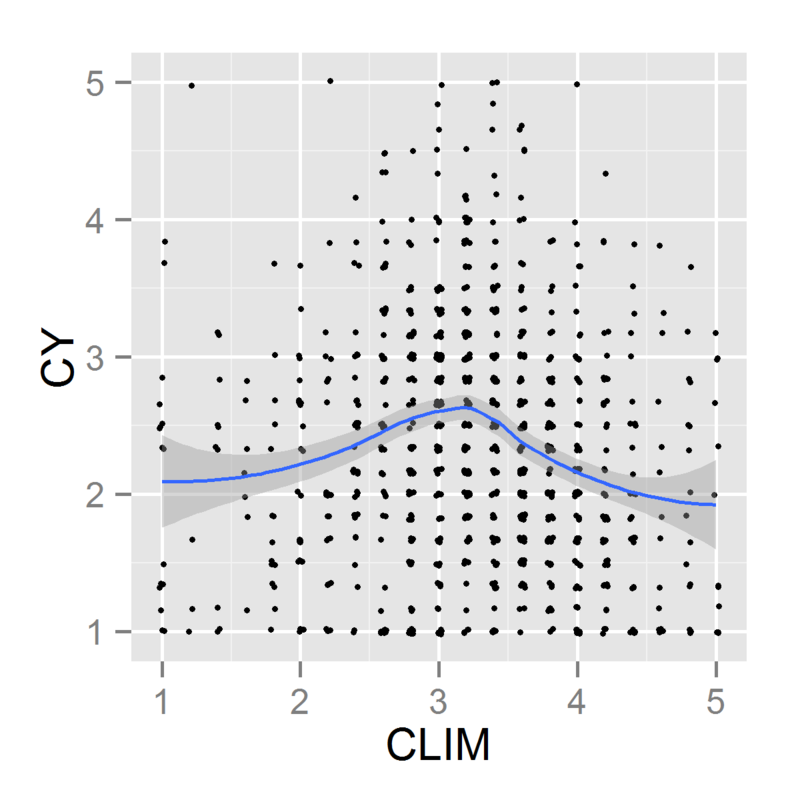 The curved relationship between belief in anthropogenic climate change (CLIM) and in conspiracy theories (CY) (Loess plot, 95% confidence intervals). Higher values correspond to higher levels of belief or endorsement. As we argue below, all this really shows is that people who are undecided about one fairly technical matter (conspiracy theories) also have no firm opinion about another (climate change). The complex statistical models used by Lewandowsky et al. mask this rather obvious and uninteresting finding. How Many Judicial Review Cases Are Received by UK Government Departments? During the debate in parliament on Monday 1 Dec 2014, Chris Grayling (Lord Chancellor and Secretary of State for Justice) was asked how many Judicial Review cases are brought against government ministers. Julie Hilling (Bolton West) (Lab): The right hon. Gentleman says “all the time”. Will he give us a notion of how often that is—once a day, once a week, once a month? How many times have such cases happened since April, for instance? He is giving the impression that they happen all the time, but what does that mean? Chris Grayling: A Minister is confronted by the practical threat of the arrival of a judicial review case virtually every week of the year. It is happening all the time. There are pre-action protocols all the time, and cases are brought regularly. Looking across the majority of a Department’s activities, Ministers face judicial review very regularly indeed. It happens weeks apart rather than months apart. The minister gave no actual numbers in his answer. So, in this post I’ve looked at how many judicial review (JR) cases were received by central government departments (‘ministers’) over the past few years. This analysis relates to my work with Christopher Hood in the Politics Department at Oxford.